16 Laurel Avenue, Wellesley Hills, MA | Haynes Management, Inc. Completely renovated brick office building with all of the modern features desired today, blended with the classic colonial architecture of the early 1900’s. 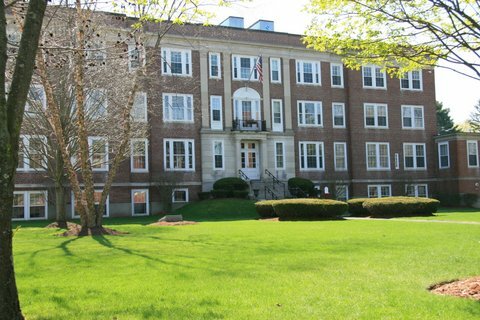 Situated in the heart of Wellesley Hills, near the junction of Routes 9 and 16 and close to the Wellesley Hills Commuter Rail Station. Colonial features throughout, such as crown molding, wood base, six panel doors, chair rails, columns and more. Perfect for the image conscious tenant.